Solgaleo and Lunala are the mascots of Pokemon Ultra Sun and Moon. In Pokemon Sun and Moon, players needed to confront Nebby once it evolves depending on the version. Both Pokemon are legendaries; they boast considerable stats and can easily secure a spot in your team during your first run. However, there are some exclusives. Solgaleo and Lunala are exclusive to Pokemon Ultra Sun and Pokemon Ultra Moon respectively. However, Solgaleo and Lunala are not the only legendaries that players can capture in Pokemon Ultra Sun and Moon. Players can also capture Necrozma, Zygarde, and other legendaries in Pokemon Ultra Sun and Moon. DO NOT FORGET TO SAVE BEFORE ATTEMPTING TO CATCH SOLGALEO AND LUNALA. WHILE THEY CAN SPAWN TWICE, IT’S GOOD TO HAVE AT LEAST TWO OF THE SAME LEGENDARY. After defeating Necrozma, head towards Mahalo Trail on Melemele Island. Speak to Lillie then a cutscene will ensue. After that, Solgaleo will appear on the Plank Bridge. Speak to Solgaleo and it will trigger a battle. If you have False Swipe, that would be useful. It would leave at least 1 HP for a higher rate of catching. Make sure you have status inflicting skills. Personal choices would be: Sleep or Paralysis. Poison, Confusion, and Burn deal damage over-time, possibly killing Solgaleo in the process. Have a boat-load of Ultra Balls. If all else fails, get a Master Ball for an easy 100% catch. Players can also get a second Solgaleo by capturing a wild Cosmog at the Altar of the Sunne. 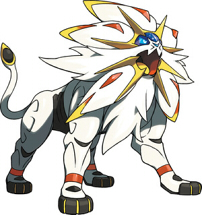 Evolve it for a second Solgaleo. 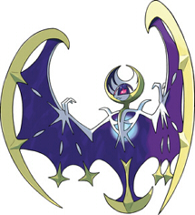 Speak to Lunala and it will trigger a battle. Make sure you have status inflicting skills. Personal choices would be: Sleep or Paralysis. Poison, Confusion, and Burn deal damage over-time, possibly killing Lunala in the process. Players can also get a second Lunala by capturing a wild Cosmog at the Altar of the Moon. Evolve it for a second Lunala.